Jimmy Buffett performs at the Darling’s Waterfront Pavilion on the Bangor Waterfront on Aug. 18, 2016. His was the biggest concert of 2016. City officials continue with contract talks with the company that manages the pavilion. 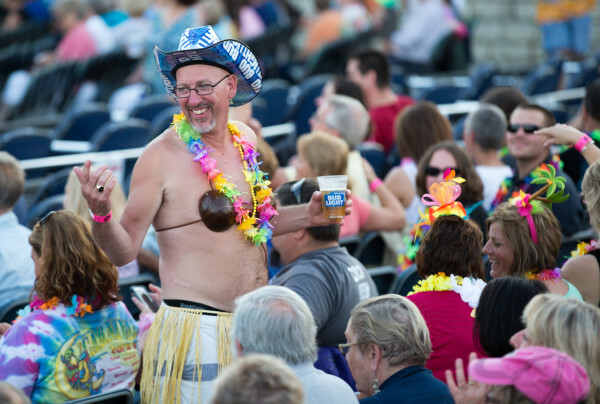 Jimmy Buffett fans enjoy a Thursday concert at the Darling’s Waterfront Pavilion on the Bangor Waterfront. 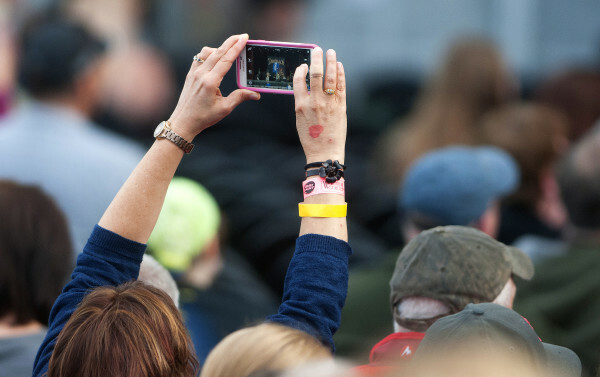 A concert attendee takes a video with her phone while Dave Mason opens for Journey during a show on June 22, 2016, at the Darling's Waterfront Pavilion in Bangor. The 2016 season was the pavilion’s best yet. BANGOR, Maine — Contract negotiations with the company that manages Darling’s Waterfront Pavilion are continuing and will likely resolve in the next two or three months, City Council Chairman Joe Baldacci said Monday. The council met in executive session to discuss the ongoing talks during its workshop session, which began at 5:15 p.m. Monday. Baldacci said he was pleased with the progress that was made, but he could not discuss details. Alex Gray, founder of Waterfront Concerts, did not attend the meeting, and attempts to contact him were unsuccessful Monday night. The city has been negotiating what at first was described as a 10-year contract with Waterfront Concerts, Gray’s company and manager of Darling’s Waterfront Pavilion, since the end of the concert season last year, Baldacci said. The council approved the last contract, a five-year deal, with a 9-0 vote in December 2011, according to a previously published report. That deal required Waterfront Concerts to pay Bangor $1.25 for every ticket sold and reimburse the city for any incurred expenses, including need for services such as emergency, sanitation or parks and recreation. An exclusive portion of the contract between Bangor and Waterfront Concerts calls for a 50/50 split of parking fees collected from parking at Pickering Square Garage. The city keeps 100 percent of all other parking revenue during shows. Waterfront Concerts is coming off a banner 2016, its seventh season. The venue hosted 21 shows, including two of the highest attended shows in the venue’s history, as well as the 27 shows at the Maine State Pier in Portland. The 21 shows sold 143,796 tickets last summer, with the city receiving $179,744 in rent and $135,349 to cover expenses for police and fire department services and electricity. That’s more than 75 percent higher than 2015, when there were just 11 concerts and 81,594 ticket sales. That year, $101,992 in rent and $81,024 in expenses paid to the city. 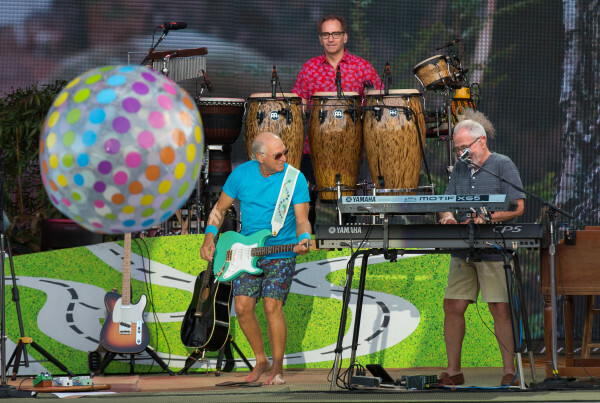 According to statistics compiled by city officials, the highest attendance in Bangor came with a sold-out Jimmy Buffett show on Aug. 18, with 13,491 people in attendance. Luke Bryan was next on July 17, with 13,122, and three June concerts that each had more than 10,000 people in attendance, including the Dixie Chicks on June 16, Florida Georgia Line on June 23, and Def Leppard on June 24. The least sales occurred with Fifth Harmony on Aug. 5, with 2,309 and the Tedeschi Trucks Band on July 15, with 2,911. The Darling’s Waterfront Pavilion can hold a maximum of about 16,000 people if the concert is entirely general admission seating; with reserved seating, that number can be several hundred to several thousand less, depending on configuration. Yet, as counterintuitive as it may seem, Waterfront Concerts are not, as least as far as city officials are concerned, solely about the music. A 2014 study by University of Maine economist Todd Gabe found that in the first four seasons, Waterfront Concerts contributed an estimated $47.5 million to the Bangor-area economy, and that contribution has grown each year. Concerts bring people from across Maine into Bangor who buy goods, stay in lodging, eat and drink at venues and otherwise enjoy the city. “Our relationship with Alex is very good and cooperative,” Baldacci said.